Residential Treatment Program: How Does Physical Activity Affect Mental Health? According to mentalhealth.gov, in 2014, one-fifth of all Americans experience mental health issues and around one in ten young people experienced at least one period of major depression. Life moves on whether it’s difficult or not, however, that doesn’t mean we shouldn’t seek help for mental health issues when we need it. Here at Kaizen Academy, we specialize in treating sexual behavior issues in boys and teens. Many of these behaviors stem from mental health conditions such as Attention-Deficit/Hyperactivity Disorder, depression, or obsessive-compulsive disorder (OCD). And although there are a lot of treatment options out there for people facing these illnesses, we feel that one thing that doesn’t get enough attention is the benefits of physical activity. Read on to learn more. Many health conditions are brought on by or made worse by a lack of confidence and low self-esteem. Mental health illnesses like depression are characterized by persistent sadness or lack of interest in daily life. Much of which could be due to a lack of confidence, poor health, or a lack of passion for hobbies or sports. Exercise often helps people realize that there are a lot of things they can work toward, and they can always be happy with the progress they’re making, even if it is slow. In addition to this, many people will see a significant boost to their confidence and mental health as they lose weight or gain muscle. Stress is an inevitability for many of us. However, that doesn’t mean that we need to let it consume our lives, day and night. In addition to it making us miserable, it can contribute to mental health conditions. According to the Anxiety and Depression Association of America, exercise can reduce fatigue, improve alertness and concentration, and improve cognitive function, all of which can help reduce stress. Just about everyone has woken up on the wrong side of the bed once or twice and some people get grumpy if they haven’t eaten recently. These are common issues, however, persistent low mood or grumpiness is a sign of an underlying mental health condition. According to WebMD.com, exercising releases endorphins that react with receptors in the brain reducing the perception of pain or discomfort. In other words, exercise can give you a temporary boost to your mood. And unlike something like sugar, it doesn’t leave you with a crash later. The final benefit of exercise on your mental health is that it takes your attention away from anything else that may be worrying you or causing you stress. Many mental health conditions are characterized by persistent self-loathing or worrying that can only be cured if you’re able to take your mind off things. Certain hobbies or crafts can help with this, however, exercise seems to be one of the best ways to deal with it because it takes your full undivided attention. Kaizen Academy is a residential treatment center focused on treating sexual behavior issues in boys. 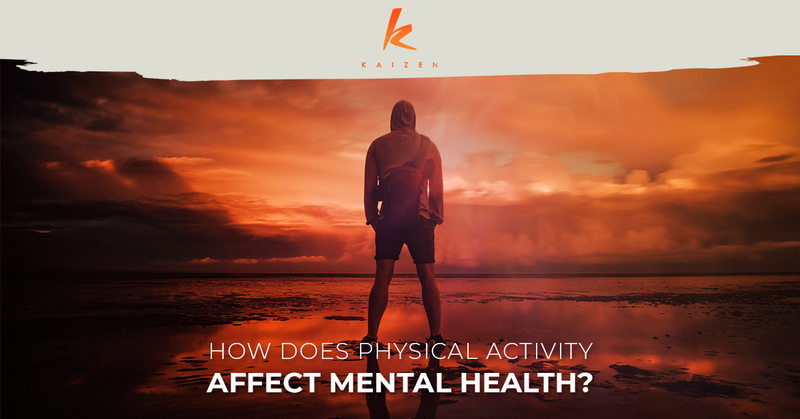 We understand that exercise is an important tool used to treat mental health conditions that can be the underlying issue when it comes to these types of behaviors. This is why we use physical activity and recreational activities as a key part of our treatment program. Our program also aims to improve social skills, increase academic performance, and generally help your son have a better sense of self-worth while eliminating self-destructive behaviors. If you have any questions or you’re ready to apply, contact us today.